215 E. Interstate 20 Hwy. P.F. Chang’s offers traditional Chinese cuisine and American hospitality in a contemporary bistro setting. Enjoy favorites like Chang’s Chicken Lettuce Wraps, Mongolian Beef and Crispy Honey Shrimp. Open for lunch, dinner and late night dining and Happy Hour is available everyday from 3-7pm. Our food and drink specials are less than $6. 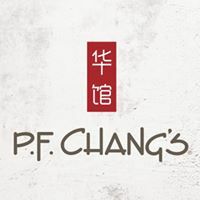 Reserve a table or place a takeout order online at pfchangs.com.